Size of this preview: 395 × 600 pixels. Other resolutions: 158 × 240 pixels | 632 × 960 pixels. 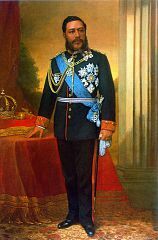 English: Official painting of King David Kalakaua by William Cogswell. Currently displayed in the Blue Room of Iolani Palace.